Wow – this was good. This is the second book I’ve read by Jessica Khoury – I’ve had another one in my TBR pile for almost a year, but I think I’ll be moving it to the top of the list. Kalahari is the name of the book and setting – which in this case is a desert – sorry, semi-desert – but the setting itself plays a character in this novel. I can’t imagine many things scarier than being stranded in a desert with no food, water, or shelter, knowing you’re being tracked by people who will probably kill you if you’re found. Oh – and there’s also a silver lion out there who’s hungry. I haven’t read many books set in the desert, but the author must have done extensive research before writing this novel. Even if everything about survival techniques was made up, it all sounded convincing and I wouldn’t know the difference. 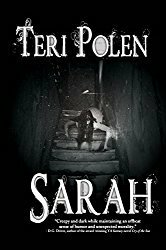 Although strong and resourceful, Sarah is primarily a loner who is tossed into a mix of Breakfast Club-like characters that at first glance have nothing in common. As the story progresses, they begin to realize how very similar they are. The group dynamics are highly charged at times, humorous at others, and entirely believable. This was a fast-paced sci-fi/adventure/thriller YA book that kept me glued to the pages throughout the story – there were no down times here, folks. Although listed as the third book in this series, each is easily a standalone and can be read in or out of sequence. 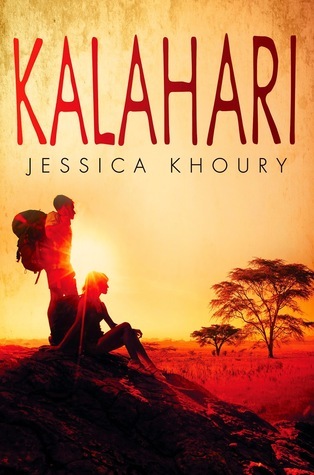 Kalahari is scheduled for publication February 24th, 2015. 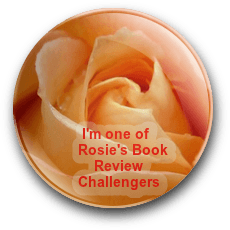 This review is based on a digital ARC from the publisher through the Penguin First to Read program. My Third Book is Finally Out! Solace is On Sale Today! I loved Origin. I haven’t read any of the others. To be honest, I didn’t realize they were out yet. I picked up Origin at SOKY–when we met–and read it a few months later. But now I’ve marked both Vitro & Kalahari as Want to Read on Goodreads. Thanks, Teri! I bought Vitro at the last SOKY and haven’t gotten to it yet – plan to soon! I haven’t ventured into her novels yet but this sounds like a good place to start. Thanks for the review! You’re welcome, Sheila. Even though this the third book, they all work as standalones. Thanks for stopping by!